Five years ago, Kay Sudekum Trotter arrived at a muddy Texas horse ranch wearing capri pants and sandals and wanting to learn more about equine-assisted therapy. By the end of the afternoon, her cute outfit was dirty, her shoes ruined, but this self-proclaimed city girl had been roped by this nontraditional approach in which horses aid in the counseling process. Today, Trotter is not only a licensed professional counselor and registered play therapist, but a certified equine-assisted counselor with the Equine Assisted Growth and Learning Association. In a countryish suburb of Dallas, this American Counseling Association member runs her own equine-assisted counseling practice, Mendin’ Fences, where she provides unique counseling services to children and teenagers with behavioral and mental health issues. “I’m not the traditional girl who grew up loving horses, so in the past few years, I’ve learned not only what horses can do in a therapeutic setting, but I’ve also had to learn just the basics,” Trotter says. “They still tease me about showing up to the ranch in flip-flops.” Not being a “horse person” has actually proved beneficial when speaking to other counselors about equine therapy, Trotter says, because she can let them know from firsthand experience that they don’t need to be professional wranglers to successfully apply this approach. As described by Trotter, equine-assisted counseling utilizes horses to increase clients’ awareness of their own thoughts, words and actions. Through counseling, team building and equine activities, clients learn how to recognize dysfunctional patterns of behavior and to define healthy relationships. This is made possible in part by the horses’ innate ability to observe and respond to nonverbal cues. In the counseling process, the horses serve as living mirrors, reflecting clients’ emotional and behavioral states. In forging a bond with the horses, Trotter says, clients identify their negative behaviors and learn positive communication and problem-solving skills to handle frustrations, challenges and fears. There are different ways to have clients interact with and relate to a horse, Trotter says. Tactile and touching: Includes grooming or giving the horse a massage. Interacting with such large animals empowers the client while increasing self-esteem and self-confidence. The rhythmic motion of grooming can also be soothing and calming for both the horse and client. Verbal: The way the client speaks to the horse can reveal how the individual relates to other people. Riding and ground work: Leading the horse from the ground or in the saddle can provide insight into a client’s sense of power or helplessness. Because of the large size of the horses, Trotter doesn’t feel comfortable counseling children younger than 8. She believes, however, that equine therapy is compatible or appropriate with most diagnosed issues. With clients who aren’t as activity-focused, such as some individuals with autism, Trotter instead helps them face their fears by building a relationship with the horse. Trotter prefers to have clients perform activities on the ground rather than in the saddle. This ground work usually includes a series of tasks, challenges or simple grooming methods to help the client form a bond with the horse. As these activities transpire, Trotter works side-by-side with the clients to provide insight and help process feelings. The ground-based activities also help clients formulate solutions to problems. The activities can be difficult, requiring clients to be creative and think outside the box. Through these activities, Trotter helps clients explore what skills were needed to accomplish the task with the horse. She can then prompt clients to think about whether they have similar problems occurring in their personal lives and consider if the solution that proved successful in working with the horse might work for the client outside the ranch as well. Following are two examples of equine activities Trotter uses in therapy. This activity challenges participants to get a horse to walk or jump over a PVC pole placed in the arena. The pole can represent any challenge that the group or individual is facing. This activity involves two participants. An alleyway with varying widths and turns is filled with hay, grain, obstacles and other items that are potentially attractive or discomfiting to the horse. The participants must lead their horse through the alleyway without allowing the horse to eat anything, leave the alleyway or knock anything over. Each client must hold the very end of a lead rope with only one hand while also staying on the outside of the alleyway. Trotter recently began working with a third-grader who exhibited behavioral problems and poor social skills associated with pervasive developmental disorders and dyspraxia, a neurological disorder that affects motor coordination. At school, he displayed severe anxiety and oppositional behavior and threatened others. The boy had struggled with these problems for more than six years, and his mother told Trotter that her son had a hard time establishing friendships. He was usually left to play by himself. After only a few sessions working with the horses, his behavior and social skills have improved significantly. The mother told Trotter that her son recently had his first play date, which lasted more than two hours without incident. He was invited to come back and play again whenever he wanted. “This shows us that this client is taking what he has learned (with the horses) and is using it in his everyday life,” Trotter says. During her eight years of leading equine-assisted counseling, Bond has worked with children and adolescents who have presented with a variety of issues, but she thinks the approach might have the most profound impact on children with Asperger’s syndrome, a developmental disorder similar to a high-functioning form of autism. Teachers, school counselors and parents referred the children and adolescents. The students were then assigned, by grade level, to one of two weekly therapeutic interventions: either two-hour sessions of equine-assisted group counseling held in a ranch setting or one-hour sessions of curriculum school-based group guidance in a classroom setting. According to Trotter, the study showed that equine-assisted counseling resulted in increased positive behaviors and decreased undesirable behaviors in clients. 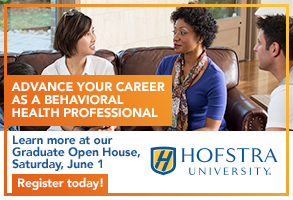 Trotter used two assessment tools in the study, the Behavioral Assessment System for Children—Parent Rating Scale and the Self-Rating Scale, along with the Animal Assisted Therapy—Psychosocial Social Form. “I chose the BASC checklist because that has assessments that I could give to both the parent and the child/client,” she explains. “I had done a lot of play therapy research prior to that, and we never included the client. I thought it was important to know what the child felt about it, not just his mom and dad. With the AAT-PSF, I was able to run repeated measures, and it could tell me where I had significant changes between the sessions.” She was then able to refer to her notes and see exactly what they had done during those sessions that proved so effective. A copy of “The Efficacy of Equine-Assisted Group Counseling With At-Risk Children and Adolescents” is available for download (for a fee) from Trotter’s website at www.kaytrotter.com/shop. To do so, she has created EPIC (Equine Partners in Counseling) training. With Bond’s help, Trotter will be conducting two workshops on the ranch in June: “What Is Equine-Assisted Counseling?” and “Treating Autism Spectrum Disorders With EAC.” Each session is $75 and worth three continuing education units. The first session provides counselors with the basics for effective assessment and intervention with both group and individual clients. Examples of equine-assisted counseling activities will be presented. The second session provides an overview of autism spectrum disorders and examines how equine-assisted counseling can positively affect psychological, physiological and social aspects for this population. “The sessions are hands-on,” says Trotter, an approved provider of continuing education. “Like any experiential expressive art, as a counselor, it’s important for you to first experience it as a client before you lead others on that journey.” More information about the classes is available at www.kaytrotterEPIC.com. On Sept. 11, 2007, the Global War on Terrorism entered its sixth year. As of February 2007, more than 1.5 million U.S. warriors had been deployed to the combat zone. According to the American Psychological Association Presidential Task Force on Military Deployment, more than 500,000 warriors have served two combat tours, and 70,000 have served three or more tours. At the present time, there are more than 154,000 U.S. troops in Kuwait and Iraq, 26,000 troops in Afghanistan, 1,500 troops in Kosovo, 1,700 troops in the Horn of Africa and 600 troops in the Sinai. The high operational tempo and frequent and multiple deployments required to fight the Global War on Terrorism have placed unprecedented levels of stress on this nation’s warriors and their families. As of February 2007, 700,000 U.S. children had a least one parent deployed to a combat zone. According to recent reports, one out of every five troops returning from combat deployments reported some type of behavioral health problem such as anxiety, depression, marital problems, post-traumatic stress disorder or traumatic brain injury. There is a critical need for professional counselors and other mental health professionals to provide services to these warriors and their families. To provide competent care to returning warriors, mental health professionals should have appropriate training, personal qualities and specialized counseling skills. To be most helpful to military clients, counselors should apply the multicultural counseling competencies developed by members of the Association for Multicultural Counseling and Development and endorsed by the American Counseling Association. By viewing the military as a distinct culture and developing interventions based on the recommendations contained in the multicultural standards, counselors can increase their ability to help their military clients. Because the U.S. military is a highly diverse organization composed of members of various races, ethnic groups, religions and cultures, not all counseling professionals agree that it constitutes a unique culture. But although there is cultural, religious and ethnic diversity within the military, the military is a culture in its own right. When warriors are asked about their ethnicity, it is not uncommon to hear the response “We are all green” from members of the Army and Marine Corps or “We are all blue” from those in the Navy, Air Force and Coast Guard. These service members have chosen to acculturate to the military, but they do not relinquish their individual ethnic, cultural and gender identities. Each has voluntarily elected to be part of a culture of warriors charged with defending the freedoms of citizens of the United States. The military culture is further identified by three key documents. All military service members swear to support and defend the Constitution of the United States against all enemies, both foreign and domestic, when they take the oath of office. They learn what is required of them in combat by adhering to the Military Code of Conduct and abide by a unique set of laws and regulations defined in the Uniform Code of Military Justice. Because the military is a unique culture, its members are best served by counselors who are prepared to employ multicultural counseling competencies. The multicultural counseling competencies provide a useful model to support counselors in developing the qualities needed to provide effective counseling services to members of the military culture. There are three major multicultural competencies in this model. The first is the counselor’s self-awareness and recognition of personal assumptions, values and biases. The second is the counselor’s ability to understand and appreciate the worldview of the military client. The third is the counselor’s ability to develop and implement appropriate intervention strategies and techniques for military clients. The counselor, based on his or her own life experiences, family roles, culture and ethnicity, brings assumptions, values and biases about the military to the counseling session. Counselors who have not had frequent contact with military personnel may hold perceptions and biases about the military culture and its members that hinder development of an effective counseling relationship. The effective counselor should be actively involved in the process of becoming aware of his or her assumptions about human behavior, values, biases and preconceived notions as they relate to military service and military clients. The military, like other cultures, has been stereotyped. Effective counselors will examine their stereotypes about the military and develop the knowledge and skills needed to ensure these biases do not adversely impact the counseling process. If the military client detects counselor incongruence about the military, the client won’t return. Counselors must be genuine about their beliefs and values without letting those beliefs and values negatively affect their ability to demonstrate respect and understanding of the military client’s worldview. The worldview of the military client is based on the individual’s cultural experiences before entering the military, coupled with the enculturation process that takes place in basic and advanced military training. The military client’s worldview is defined as the way he or she views self, social relationships, human nature and political, educational and economic positions. These views are shared by others in the military culture. Train hard before deployment to reduce casualties. Never abandon your fellow warriors in combat. The mission and the unit always come before the individual. Never show weakness to fellow warriors or to the enemy. The stigma associated with mental health treatment in the military, especially in the Marine Corps and the Army, is real. Despite efforts by senior military leaders to remove the stigma, the military cultural norm of not wanting to appear weak and vulnerable to fellow warriors persists. 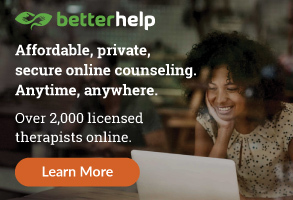 This prevents many warriors from seeking counseling services, especially those offered on the military installation, where confidentiality may not be guaranteed. This reality provides an opportunity for civilian counselors to be the mental health care providers of choice for warriors who want discrete and confidential services that will not be reported back to the military unit. The effective counselor understands how the military culture can inform the client’s thoughts, actions, feelings, values, beliefs and assumptions about human behavior. The counselor must be able to communicate a nonjudgmental understanding of the client’s worldview. If the counselor cannot honestly convey an understanding and respect for the client’s military service, the client is unlikely to return. Effective understanding of the client’s worldview does not mean the counselor must share — or even pretend to share — that worldview. Rather, the counselor should be able to communicate acceptance of the client’s worldview as legitimate, although different from the counselor’s worldview. Military clients do not assume that counselors’ attitudes, beliefs and values will be similar to their own. In fact, many warriors stereotype civilian counselors as holding liberal personal and political values and being opposed to military efforts in the war on terrorism. Moreover, many warriors believe counselors will make negative judgments about military service. Counselors should keep these client concerns in mind as the counseling relationship is initiated. If the counselor can communicate unconditional positive regard for the military client, the probability of the counseling being successful is enhanced. The effective multicultural counselor should develop a set of specific skills to work within the military culture. While members of the military culture share common values and beliefs, it is a mistake to view military clients in a monolithic fashion. As is the case in any cultural group, there are as many differences among individuals within the group as there are differences between cultural groups. The effective counselor needs to use basic relationship and communication skills such as accurate reflections of content and feelings and accurate summarizations of important aspects of the military client’s disclosures. In addition, the skilled counselor will deliver congruent verbal and nonverbal messages to the client. The effective multicultural counselor will encourage the military client to teach the counselor about the military culture and the important problems, values and traditions that are part of the client’s life. In response, the counselor will ensure the military client knows that the messages have been clearly received by accurately reflecting the content and associated feelings communicated in the message. When military clients feel understood, heard and respected by the counselor, they are more likely to deepen the counseling process by taking interpersonal risks and delving into the significant issues that have brought them to counseling. The counselor should be equipped to employ a variety of interventions. 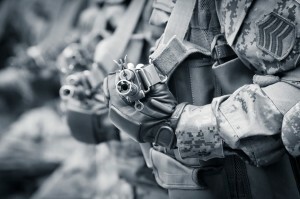 As a rule, the stereotype of military clients being uncomfortable disclosing sad or scared feelings is often accurate. 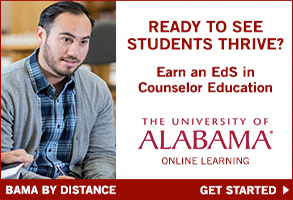 Therefore, the counselor may want to begin the counseling process using cognitive and behavioral interventions. As the counseling relationship is strengthened and as trust builds, the counselor may then move to a discussion of the client’s feelings. The counselor must be proficient in interventions that focus on thoughts, feelings and actions and be able to discern which approach to apply in various circumstances. In addition, the military culture has a language of its own. The effective counselor will take the time to learn as much about the language of the military as possible. When clarification is needed, the counselor should be comfortable asking the client to explain a term or acronym. This technique empowers the client, strengthens the therapeutic relationship and adds to the counselor’s knowledge base of military culture. 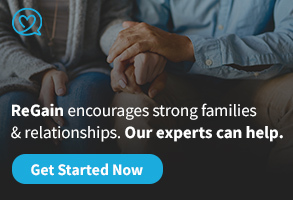 Effective counselors have skills in consultation and are open to seeking assistance (with client permission) from experts with specific knowledge about a client concern. The counselor uses the knowledge gained from the consultation to enhance the effectiveness of the counseling session. Additionally, effective counselors are able to employ assessment instruments and are aware of cultural influences that may impact the test results. For example, military personnel applying for special assignments are required to complete a battery of psychological assessments. In the zero-defect world of the military culture, warriors are less likely to admit weaknesses and vulnerabilities that most people in the civilian culture would likely acknowledge. Counselors must be aware of this tendency to underreport weaknesses and vulnerabilities when interpreting test results. There is a significant demand for well-qualified, multiculturally competent counselors to provide services to military personnel. The demand will only grow as the war on terrorism continues. Professional counselors will be successful in working with military clients if they have an understanding of the military culture and utilize the three major multicultural competencies identified by AMCD and endorsed by ACA. David L. Fenell is a professor in the University of Colorado at Colorado Springs Department of Counseling and Human Services and a colonel (retired) in the U.S. Army Medical Service Corps Reserve. He chairs the ACA Special Committee on Military and Veteran Affairs. Contact him at dfenell@uccs.edu. Back when I was in my 20s, I knew a guy named Roger who hung wallpaper for a living. The one thing I remember about Roger is that he was always happy. I would often see him on worksites, zipping around with a bounce in his step, singing gleefully under his breath and generally annoying everyone around him with his positive outlook. I felt puzzled by Roger. I knew that if I had to hang wallpaper six days a week, I would be pretty miserable. I couldn’t imagine how anyone could possibly get any joy from working at such a mind-numbing job. “But I would be in Hawaii,” Roger said with a tone that fell somewhere between pity and disbelief. In that moment, I realized Roger was as confused by my ignorance as I was by his happiness. My conversation with Roger reminded me that I shouldn’t judge other people’s happiness according to the things that make me happy. This was when I began to realize that happiness is a complex and highly personal issue. Certainly, as counselors, we can think of examples of people who harmed their lives by recklessly seeking happiness. Our waiting rooms are full of people who have tangled themselves into addiction, debt and unhealthy relationships in the search for happiness. The reality is that as human beings, we are blessed with a wide range of emotions that serve us in many ways. We need to experience a variety of emotions to efficiently store information, retrieve information and respond properly to our environment. In fact, discontent is a wonderful motivator. Would we seek out food if we didn’t get hungry? Would we seek out more knowledge if we were content with the knowledge we already had? The truth is, if we were happy all the time, we would stop growing, learning and striving for our own self-preservation. In his Communist Manifesto, Karl Marx warns that in a capitalist society, people can become willingly enslaved by the pursuit of material comforts. He hypothesized that people would work long hours to make money so they could pay off all their material goods, effectively becoming slaves to their own debts. In a day and age when the average American works more hours than previous generations while also carrying thousands of dollars in credit card debt, it is hard to ignore Marx’s point. In Brave New World, Aldous Huxley imagines a world in which perfect happiness is maintained through a regimen of behavioral control, genetic engineering, intense training and a synthetic drug called Soma. While Huxley’s book is fiction, it bears an uncomfortable resemblance to modern life, in which the news is loaded with celebrity scandals and we are encouraged to pursue pharmaceutical answers to our common problems. Americans have certainly sought out their own version of Huxley’s Soma. In his 2008 book, Comfortably Numb: How Psychiatry Is Medicating a Nation, Charles Barber reminds us that in 2006, the United States made up 66 percent of the global antidepressant market. A 2001 report in Health and Medicine Week concluded that depression affects an estimated 17 million people in the United States each year. According to a 1996 report by the Centers for Disease Control and Prevention, the death rate from suicide remains higher than for Alzheimer’s, chronic liver disease, homicide, arteriosclerosis or hypertension. Depression also has a significant economic impact. Consider the following. According to a 2004 World Health Organization study, major depressive disorder is the leading cause of disability in the United States for people between the ages of 15 and 44. A 2001 article in The Wall Street Journal concluded that depression among workers in the United States costs businesses about $70 billion annually in medical expenditures, lost productivity and related costs. A 1999 National Institute of Mental Health report concluded that $11 billion a year is lost as a result of workers who were less productive or made mistakes due to depression. Recognizing the need for the study of happiness and healthy adjustment, Seligman pushed for the development of positive psychology. This is a massive shift in thinking. The field of psychology had spent much of the previous 100 years focusing on the things that were wrong with people. Sigmund Freud, for example, once stated that the best that can be hoped for in life is “the transformation of hysteric misery into common unhappiness.” For those who want more than “common unhappiness,” there is positive psychology. We also tend to assume that various things will make us happy even though research suggests that, in reality, they do not. For example, we may think we would be happy if we had more money. But Seligman reminds us, “Mounting over the last 40 years in every wealthy country on the globe, there has been a startling increase in depression.” He also cites studies which found that people who win the lottery tend to have a brief burst of happiness for an average of three months before returning to the baseline of happiness they experienced before winning the lottery. Indeed, research has failed to show a significant correlation between happiness and material wealth once individuals reach a point where they have a place to live and a little something to eat. Similarly, research has been unable to find a correlation between happiness and attractiveness, happiness and health or happiness and popularity. One important finding in positive psychology research: We often neglect the things in life that truly make us happy in the quest for things that we think will make us happy. We may, for example, neglect our family and friends to focus on getting a promotion at work. Soon after receiving the promotion, however, we return to the emotions we had prior to the promotion. So, what actually makes people happy? Clients can use several different practices to find happiness in their everyday lives. Daniel Nettle points out that people who have a strong sense of control in their lives report a significantly higher level of happiness than people who have a poor sense of control. As a result, clients are likely to benefit from shifting their focus away from the things they cannot control (for example, the behavior of other people or things that happened in the past) and toward things they can control (for example, changing their own behavior in a way that is likely to improve a bad situation). I often describe this to clients as shifting from a “victim” role to a “survivor” role. As Gilbert reminds us, “We are served more by frequency of happy events than by intensity of happy events.” This suggests that we don’t need to win the lottery to be happy; we just need to enjoy a lot of small pleasures in everyday life. Counselors might challenge their clients to write a list of simple, healthy pleasures in their lives and encourage them to commit to spending time being mindful with a few of those pleasures every day. In Hamlet, Shakespeare writes, “There is nothing either good or bad, but thinking makes it so.” Indeed, anyone who has even a passing familiarity with cognitive therapy knows that the cognitions we choose to interpret our world have a profound effect on how we feel and act. “Optimistic people tend to interpret their troubles as transient, controllable and specific to one situation,” according to Seligman. “Pessimistic people, in contrast, believe that their troubles last forever, undermine everything they do and are uncontrollable.” So encourage your clients to focus on the transient, controllable and situation-specific elements of their problems. Tal Ben-Shahar encourages his students to “Learn to fail or fail to learn.” I find myself using this phrase with clients on a regular basis. It challenges them to think about each problem as a learning tool rather than as proof that the world is a terrible place. When prompted, clients can almost always cite examples of past difficulties that have helped them to learn and grow. Recognizing this, they can view their current problems as one more opportunity for learning and growth. I often encourage clients to create a gratitude journal. I challenge them to spend a few evenings each week documenting things for which they are grateful in their lives. Once there is a journal to fill, clients will often go through their lives looking for things they can include. This exercise can change their perspective significantly. In The American Paradox, David Myers states, “There are few stronger predictors of happiness than a close, nurturing, equitable, intimate, lifelong companionship with one’s best friend.” Clients can commit to spending more time with the people who are important to them. When clients report that they are not close to anyone, I suggest they write down a list of their interests. Then we look for the social manifestations of those interests. For example, if a person likes to read, he may want to join a book club. If a person likes animals, she can volunteer at the local animal shelter. This principle extends to the larger community as well. In their 1998 article “Social Well-being,” Corey Lee M. Keyes and Shane Lopez reported that the degree to which a person is engaged in society is positively correlated with measures of happiness, generativity, optimism, life satisfaction and a sense of safety in one’s environment. People tend to report more happiness when they have a sense of meaning and connection in their lives, whether it is their spirituality or through a secular sense of connection to humanity. As a result, clients are likely to benefit from redirecting their focus toward their own spiritual or humanist values. Research suggests that altruistic people are more likely to be happy, and happier people are more likely to be altruistic. Challenge clients to find charitable activities that are meaningful to them. This can get them engaged in their communities, give them a sense of purpose and shift their focus away from dwelling on their problems. It is actually a lot of fun to help clients explore their own positive psychology. Most clients will have good results in a relatively short period of time by working these techniques into their daily lives. These skills are also a great form of self-care for professionals in the mental health field. Have fun! Mike Hovancsek is an American Counseling Association member who runs a private practice in Stow, Ohio. He also offers presentations and workshops on a variety of subjects. Contact him at therapy@ohio.net. One of the charges of the American Counseling Association Ethics Committee is to educate ACA members about the ACA Code of Ethics. As one way of meeting this task, the Ethics Committee recently held its Fourth Annual Student Case Study Competition. The purpose of the competition was to engage aspiring counseling professionals in the process of becoming aware of, studying and engaging in ethical reflection and decision making. We were very pleased that 23 teams of master’s students and 10 teams of doctoral students from graduate programs across the country participated in the competition. The team members critically analyzed the hypothetical cases and developed an ethical decision-making plan to respond to the situations presented. The Ethics Committee members found all the responses very interesting. As anticipated, different teams chose to focus on different aspects of the cases and selected a variety of ethical decision-making models to guide them in developing their responses to the case studies. The Ethics Committee members independently rated responses to the case studies. The members then conferred to review the ratings and selected the top three winning teams of master’s students and doctoral students. First-place team members were each awarded $75 ACA Bookstore coupons, a letter of recognition and a certificate. Members of the second-place teams received $25 ACA Bookstore coupons, a letter of recognition and a certificate. Third-place team members received a certificate and a letter of recognition. Each of the winning team’s programs also received a letter of recognition that included the names of the winning team members. 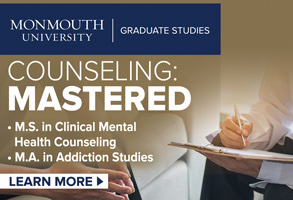 In addition, the first-place case study submissions, both at the master’s and doctoral level, were posted on the ACA website at www.counseling.org/. The ACA Ethics Committee and ACA wish to congratulate the winning teams and their respective graduate programs. The committee also wishes to commend the other participating teams from outstanding graduate programs across the nation. The cases for the competition were developed in consultation with all members of the ACA Ethics Committee: Darlene Daneker, Louis Downs, Jackie Flanagan, Larry Freeman, Sharon Kurpius, Karen McCleskey, Sally Murphy, June Williams and Patrick Wilson. We applaud all of the students for the work they put into their responses. Again, we thank everyone for their participation and commitment to raising awareness of the ethical standards that are so vital to our profession. Shawn Spurgeon and Lynn Linde are co-chairs of the ACA Ethics Committee. That very sentiment can easily be applied to the No Child Left Behind debate, as many school officials have questioned whether this legislation actually interferes with providing school students a well-rounded and quality curriculum. Signed into law by President George W. Bush on Jan. 8, 2002, the No Child Left Behind Act significantly changed federal education policy for grades kindergarten through 12. Notably, it requires standardized testing for all students in English and math every year in grades 3 through 8, as well as once in high school. NCLB has put pressure on U.S. primary and secondary schools to improve the academic performance of all students, and many school districts have certainly progressed, but not without many opponents raising an important question: At what cost? Large numbers of student advocates, including school counselors, have criticized NCLB’s stringent accountability and strict testing requirements, claiming its implementation is too costly, narrows the curriculum and does not take into consideration the unique needs of every student. Proponents of education reform say the legislation has exposed the achievement gap between minority and nonminority students, as well as performance discrepancies between disadvantaged and affluent students. NCLB is the name given to the most recent version of the Elementary and Secondary Education Act of 1965, which is due to expire this year. As Congress looks to “reauthorize” — extend or revise — the federal statute, school counseling professionals weigh in on what’s working and what needs to change to ensure that, in fact, no child is left behind. “(NCLB) has a strong emphasis on accountability and intense testing. I’m not for or against it, nor argue the merits of whether every grade should be tested, but I think it is unrealistic to subject kids from other countries to these high-stakes tests when they don’t even know the language. It’s really unfair and that’s my biggest concern,” says Martinez, who works with a large population of ELL (English language learner) students in his district. Carolyn Stone, past president of the American School Counselor Association, a division of ACA, is a school counselor educator at the University of North Florida. She has 22 years of experience in the field of education as a teacher, counselor and supervisor. With 16 years of experience as a school counselor educator, ACA member Paula Stanley has a different perspective on the effects of NCLB. In working with her interns at Radford University in Virginia, she has noticed a change in the perceived roles of school counselors in the past few years. So much so, she says, that several individuals have entered the university’s school counseling program only to change their specialty upon realizing that they may not get to work with students in the capacity they had assumed. Interns are also finding it increasingly difficult to meet the required 120 direct service hours per semester for their internship, Stanley notes. “Because NCLB (student test results are) tied to funding, teachers don’t want students to leave the classrooms, so it gets more difficult for counselors to have access to the students who could benefit from their services.” She adds that school counselors really do value students’ academic success just as much as their social development and vocational aspirations, and school counselors are willing to work with teachers and administrations in becoming more accountable. However, Stanley says, reducing the developmental role of school counselors ultimately works against student success. “The focus is just on making students pass this test, but some of the reasons why students aren’t doing well on the tests are personal or social. They may have feelings of low self-worth or confidence, or they may have problems at home. They come to school with these problems burning inside of them, and it’s hard for them to focus on their schoolwork.” Given the chance and time, school counselors can help these children with coping skills and even encourage parents to get more involved with their child’s academic success, she says. Stanley admits the data gained from analyzing test scores can be beneficial as a means of proving the vital role of school counselors and their services. However, she says, “Someone with much less than a master’s degree can count out tests. School counselors feel that their skills aren’t being used, and much of the work (associated with administering the tests) can be done by clerical staff. The negative aspects of NCLB do seem to be more prominent in school counselors’ minds. A school counselor at Salisbury Elementary in Gap, Pa., Christopher Laudo’s perspective is that, although there are serious flaws in how NCLB is written, the legislation has ushered in a great opportunity for innovation and change. “By making the status quo unacceptable, the federal mandates of NCLB have served to create an unparalleled sense of urgency that has resulted in serious efforts to address equity and social justice. For school counselors, it has meant that we can no longer sit on the fence and debate whether we should be running a data-driven program. Because other professionals in the school setting are required to show their impact on student academic success, school counselors must hold themselves to the same standard.” If school counselors fail to demonstrate their impact on student success or take a leadership role in helping to remove systemic barriers to student success, Laudo says, they run the risk of being perceived as unnecessary. The temptation for elementary and intermediate schools is to concentrate on the curriculum covered in the standardized tests (“teaching the test”) and ignore other areas such as the arts, sciences and social studies, Sparks acknowledges. “We hear anecdotally, from teachers, counselors and administrators from around the country, that those areas aren’t being emphasized as much as they have been in the past because more resources go toward language arts and math. That could have a negative impact on students in the long run if schools don’t take measures to counteract that. If we aren’t providing activities for students to participate in the arts, we are really missing out on opportunities to help the development of the overall student. Students who do participate in the arts, there’s research that shows they do better in other areas, like math and language.” He adds that nurturing talent and encouraging students in extracurricular ventures promotes self-confidence and provides balance. In a recent survey conducted by Teachers Network, more than 5,600 public school teachers from all 50 states were questioned on the effectiveness of NCLB and its impact on schools. Only 37 percent found standardized testing “somewhat useful.” Less than 1 percent agreed that it was an effective way to evaluate the quality of schools. Work on reauthorization of the Elementary and Secondary Education Act (i.e., NCLB) is picking up speed, according to Campbell. In August, the House Education Committee released a preliminary proposal to reauthorize ESEA. Following release of the draft language, ACA joined other education groups in submitting comments. The House Education Committee’s draft legislation would maintain requirements that states continue to assess students in reading and math in grades 3 through 8 and in high school. However, the draft legislation would also authorize states to use new methods of tracking progress toward subject proficiency goals required to be met by the end of the 2013-14 school year. According to congressional staff, the Education committees in both the House and Senate were preparing to mark up their bills to reauthorize the legislation as early as the week of Oct. 22. While it was anticipated that a bill might be introduced on the floor of the House in early November, consideration of an ESEA reauthorization bill in the Senate was not expected until early next year. For more details on the reauthorization process, read Washington Update on page 11. To monitor continuing updates on NCLB reauthorization proceedings, visit www.counseling.org/PublicPolicy/.